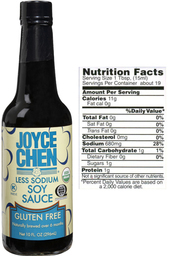 Joyce Chen Mild Potsticker Dipping Sauce contains a unique blend of select ingredients that enhance, not overpower a variety of dishes. 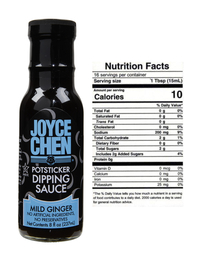 Our mild sauce, which is also known as ginger dipping sauce, has an aromatic light soy flavor. 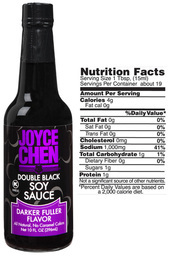 To achieve a restaurant dipping sauce taste at home, we recommend that you add a dash of Joyce Chen Sesame Oil, and toss in fresh scallions and/or cilantro. 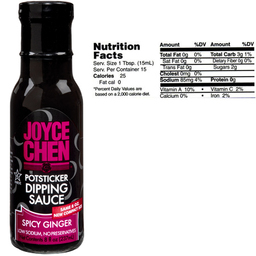 The flavors of Joyce Chen Potsticker Dipping Sauces enhance the flavor of Joyce Chen Potstickers, and as a dip for shrimp cocktail, cold chicken, and other foods.